Download Islamic books for New Muslims including A Guide For The New Muslim, Explanation of Important Lessons, Islamic Studies Book, 33 Lessons for Every Muslim, Program of Studies For New Muslims, Discover Islam, The Religion of Truth, What Every Muslim Must Know about Purification, A Description of the Wudhu' of the Prophet and Conditions And Pillars Of The Prayer. Al-Basheer is proud to introduce a new CD collection from renowned author and Sheikh, Br. Jamaal Zarabozo. 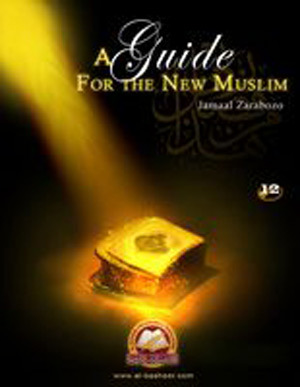 The new collection is called A Guide for New Muslims and is one of his best introductions to Islam yet. The collection is also of benefit to those who are looking to revert to Islam, as well as those who are looking for valuable Dawah materials. Br. Jamaal Zarabozo offers his insight and practical guidance to those entering Islam, and answers many frequently asked questions from those new to the religion. These highly recommended CDs will be a good reference material and source of education for you, your family, friends and Dawah practice for time to come and a good addition to your CD/lecture library. Preface, 'I had the opportunity to read the book titled “The Most Important Lessons For Every Muslim” written by Sheikh Abdulaziz Bin Baz (May Allah have mercy on him), which I think, is a highly beneficial book to all Muslims. 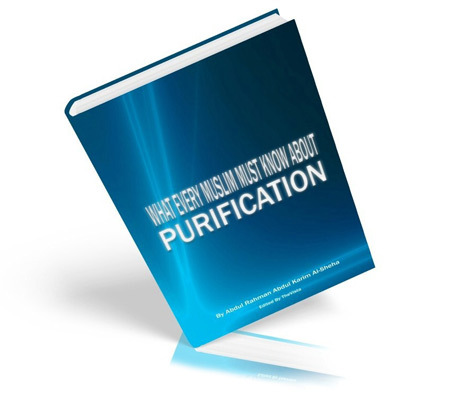 It gives basic requirements for the foundation of their Aqeedah (creed) and ‘Ibadah (worship). It struck me that this small but informative book would be of immense benefit for non-Arabic speaking Muslims, spread all over the world, if translated into another foreign language. While translating this book, it dawned on me that the Sheikh has written this book, primarily for Arab speaking Muslims and thus has written most of the information very briefly. But this may not be sufficient for non-Arab Muslims, whose knowledge of Islam is mixed with their local cultures and practices, resulting in deviations from pure Islamic monotheism. This is the first book of a series of 5 primarily designed for high school (secondary) school students (ages 12-18). 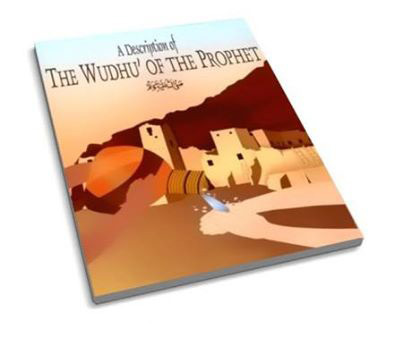 It focuses on four areas of Islamic knowledge: Aqeedah, Tafseer, Hadeeth and Fiqh and is presented in simple language. 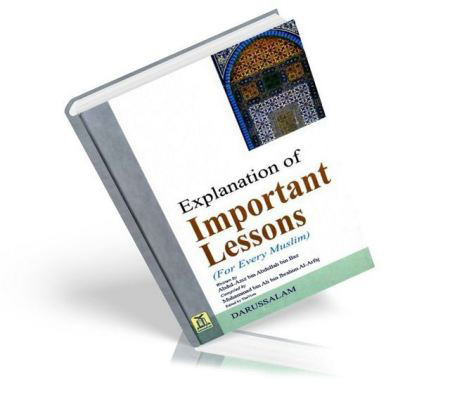 It is also suitable for new-Muslims and adults seeking an easy explanation of the basic areas of Islamic disciplines. 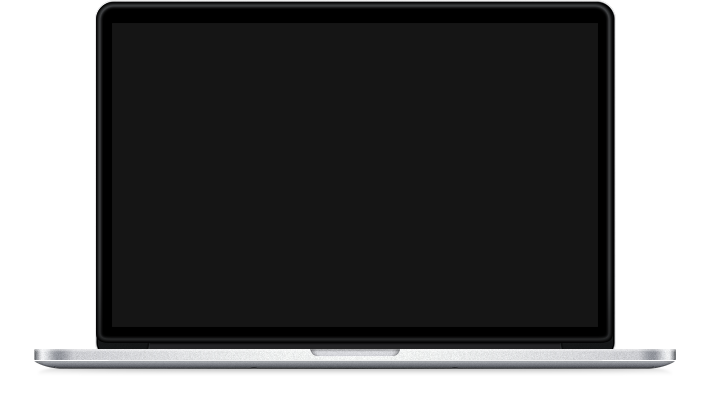 All texts are supported by evidence from the Quran and authentic hadeeths. Introduction to Program, 'In 1974, the Planning Committee of the Muslim Students' ssociation of the U. S. and Canada sparked the idea of designing a comprehensive curriculum for American Muslims who have recently embraced Islam. Such curriculum is greatly needed by a large population of Muslims in North America to help them understand Islam as a complete way of life, practice it and live up to its ideals. To satisfy this need, the task of producing the curriculum and its supportive material was entrusted to the Department of Education, Publication and Information. 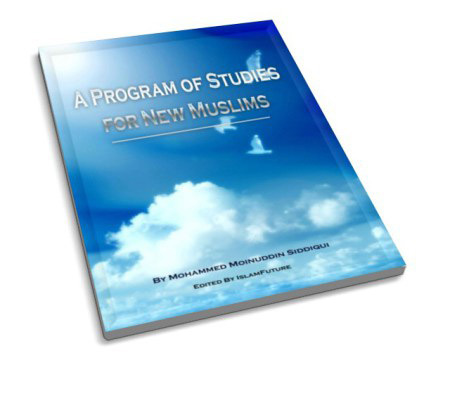 Through the efforts of that Department and the Islamic Teaching Center, Dr. Mohammad Moinuddin Siddiqui undertook to work out" A Program of Studies for New Muslims." His deep commitment to Islam and conviction of the significance of education as a crucial vehicle for social change prompted him to devote his time and finish the first stage of this tremendous and challenging work. The second stage is the writing of text books which are specifically tailored to the sequential level series of this program of studies. Foreword, 'There is hardly any place on earth today where Islam is totally unknown. More and more people have become curious enough to find out something about this much publicized religion; more often than not, they have been pleasantly surprised. Islam is the religion and way of life of about one fifth of the world's population. Muslims are of diverse nationalities, cultures and races, but their religion teaches that all humanity is essentially equal. Islam is generally misunderstood and misrepresented in contemporary Western societies; therefore, it is hoped that this booklet will help shed light on Islam and dispel many of the prevailing misconceptions. With this objective in mind, al-Jumuah Magazine presents a brief overview of Islam, followed by answers to some of the most commonly asked questions by non-Muslims. This is a translation of the beneficial treatise of Imaam Muhammadbin ‘Abdil-Wahhaab, “Shuroot as-Salaat wa Arkaanuhaa wa Waajibaatuhaa.” In this short treatise, Imaam Muhammad bin ‘Abdil-Wahhaab, may Allaah have mercy on him, briefly outlines the nine conditions for the acceptance of one ’s prayer, as well as the fourteen pillars and eight requirements of the prayer, mentioning some of their proofs and evidences from the Book and the Sunnah. A condition is something that is required before the commencement of prayer in order for it to be valid. “The pillars are that which if one fails to perform any of them out of forgetfulness or intentionally, his prayer is rendered invalid because of his abandoning it. The requirements are that which if one fails to perform any of them intentionally, his prayer is rendered invalid due to his abandoning it, but if he leaves any of them due to forgetfulness, he is obligated to perform the (extra) prostrations for forgetfulness.” The author also lists the conditions, obligations, requirements and nullifiers of wudoo (ablution). 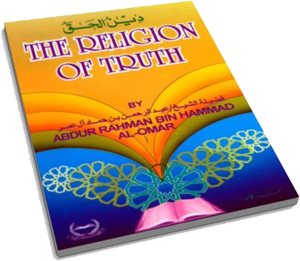 The translator has provided a quick reference guide as an appendix listing each of these points, as well as footnotes with hadeeth references and other comments gathered from several sources of this treatise.